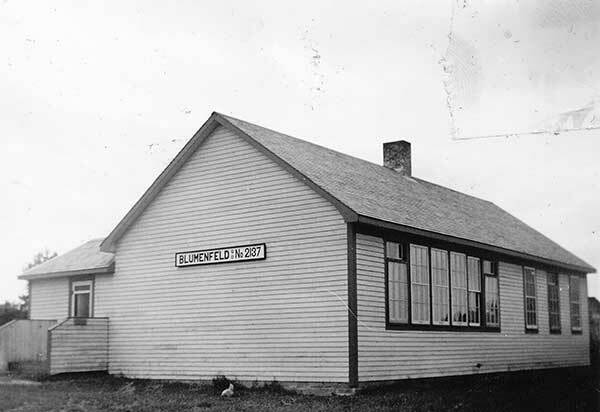 The Blumenfeld School District was established in August 1925 and a one-room schoolhouse operated in the village of Blumenfeld (SE20-1-4W) in the Rural Municipality of Stanley. 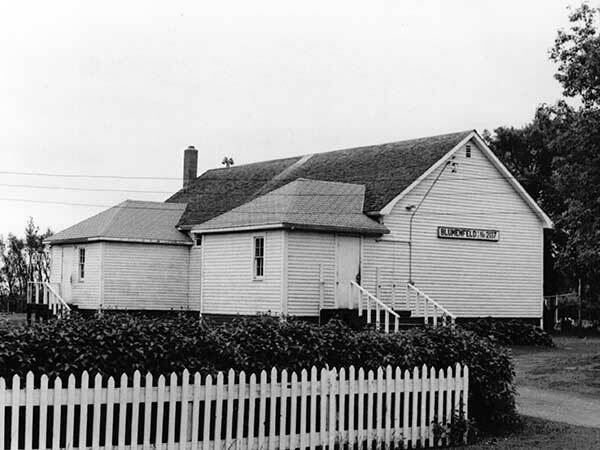 The district was later dissolved and its area became part of the Stanley School Division. Among the teachers at Blumenfeld School were Jacob Friesen (1942-1943) and Carl Leo Pokrant (1940-1942). GR8461, A0233, C131-3, page 101. Source: Archives of Manitoba, Architectural Survey - Blumenfeld 2. Altona West topographic map, 62H/4 West, Edition 1, Series A743 [UFS Reference Collection]. We thank Margaret Friesen for providing additional information used here.